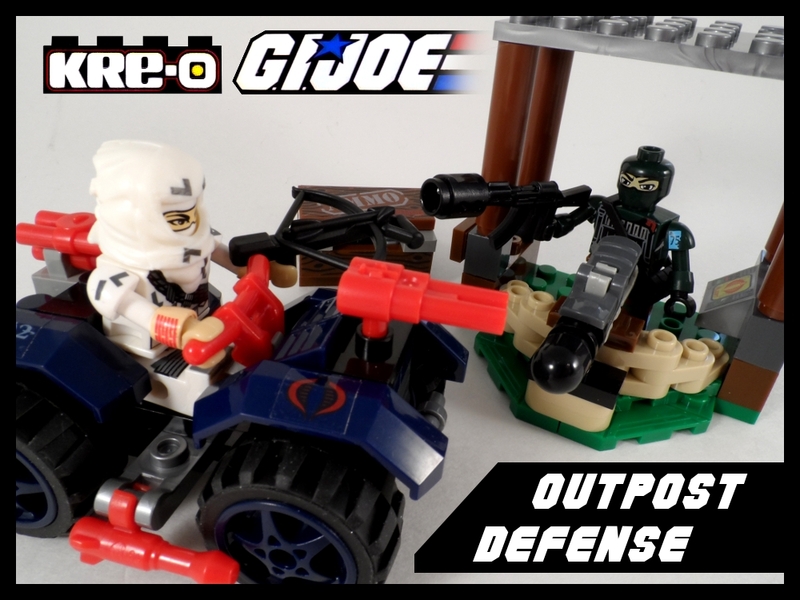 A new batch of GI Joe Kreo sets have hit recently and today we’re looking at the Outpost Defense set. This is the smallest set this time around, but the box is a bit bigger than the previous small set (Checkpoint Alpha) even though only 14 more pieces were added. Once again, Storm Shadow is shown on the box by the title, but this time he’s got the V2 look instead of the hybrid V1 with hood look he had on the previous set’s packaging. 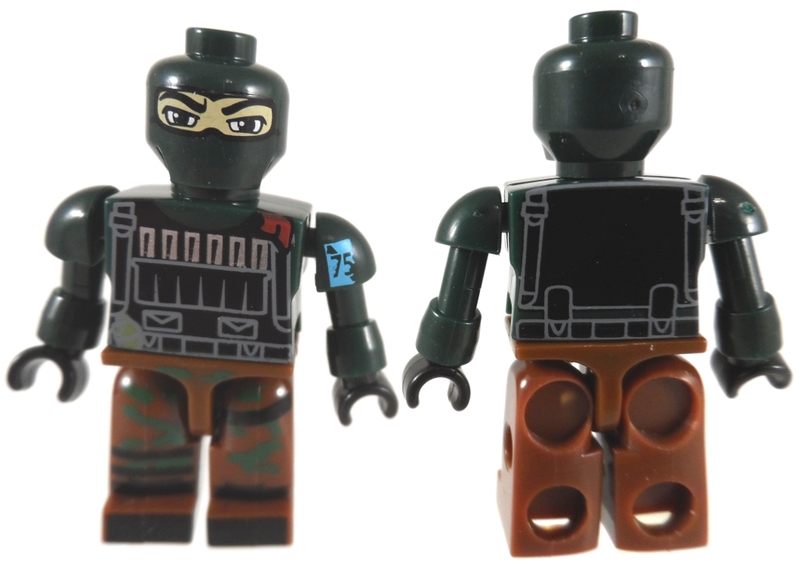 Bazooka is now next to Storm Shadow instead of Snake Eyes and instead of a ninja star at the end of the GI Joe stripes we have a 50th anniversary star. 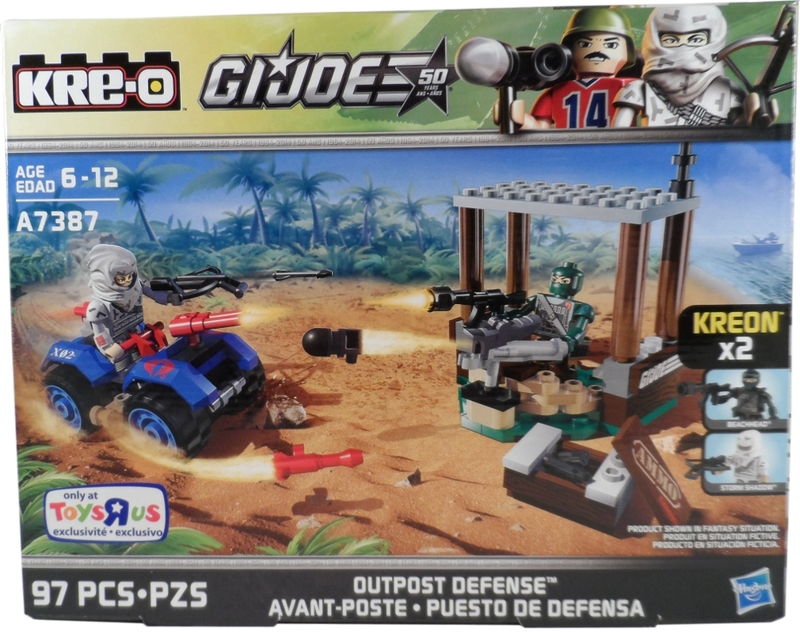 The picture on the box shows the Kreo set in imaginary action. 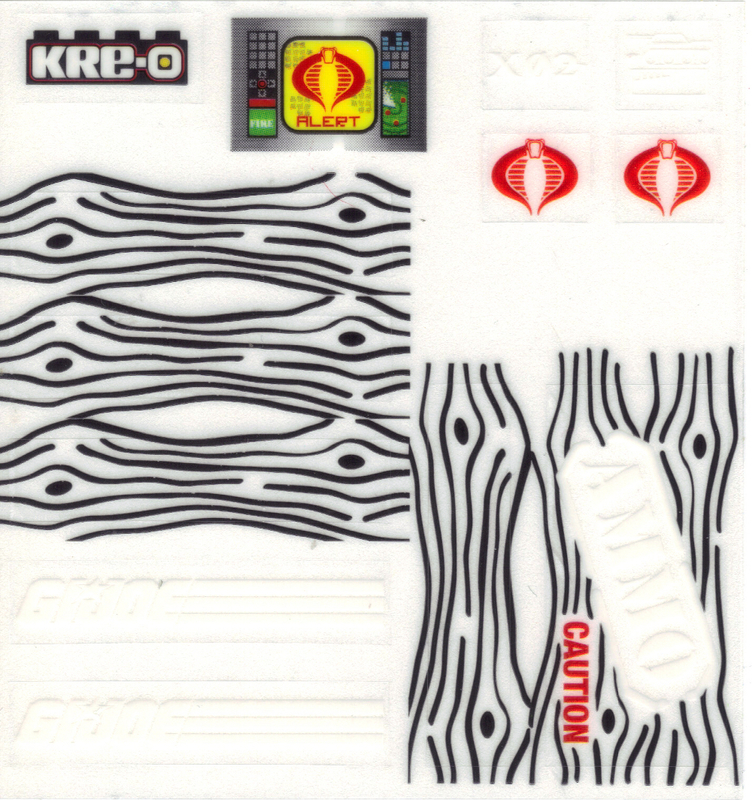 Just like Checkpoint Alpha, the Outpost Defense set comes with a sticker sheet. While it’s hard to see what most of the stickers look like due to the white ink, they show up really nicely on the dark colored Kreo pieces. 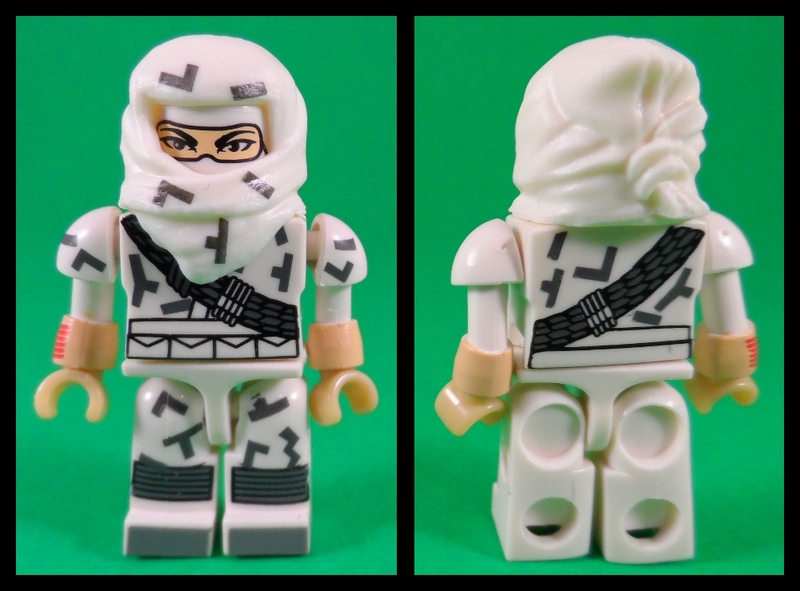 Here’s the first Kreon, Storm Shadow in his version 2 deco. I’m kinda surprised that the deco covers the back of the torso as well since the rest of the deco doesn’t make it around the back. 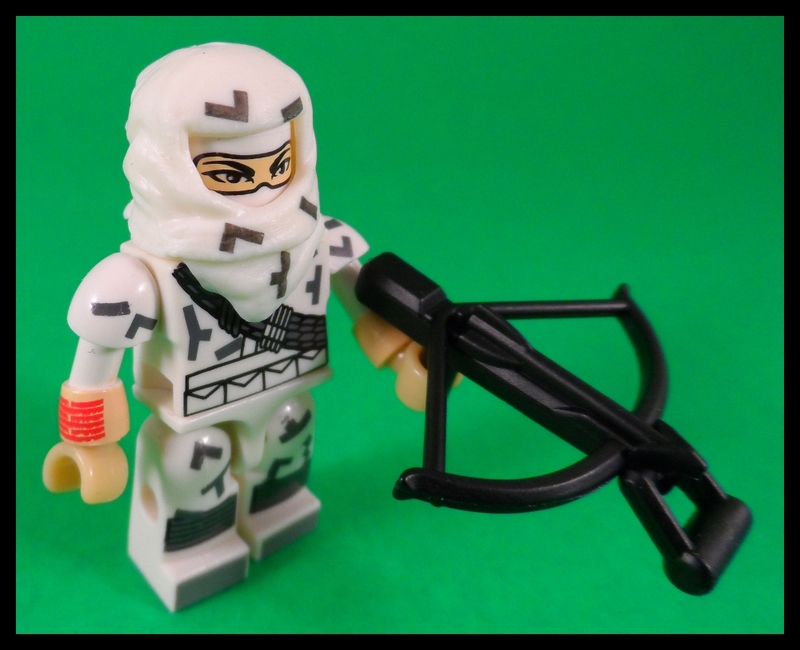 Storm Shadow comes with a crossbow and has the Arashikage logo on his forearm. 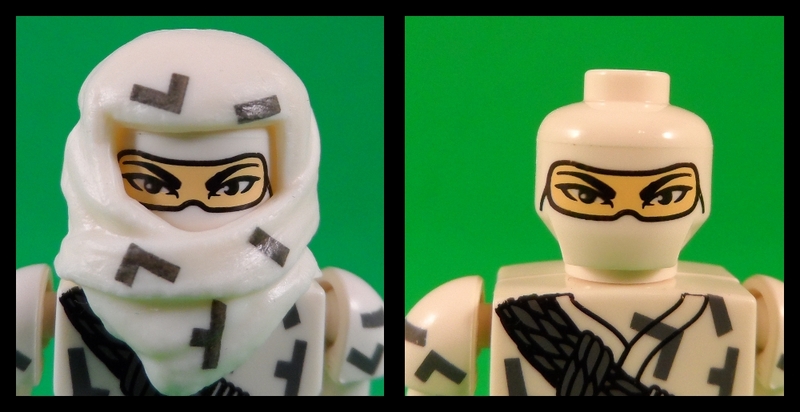 The soft rubber hood can be removed to show a nice version 1 Storm Shadow head underneath. 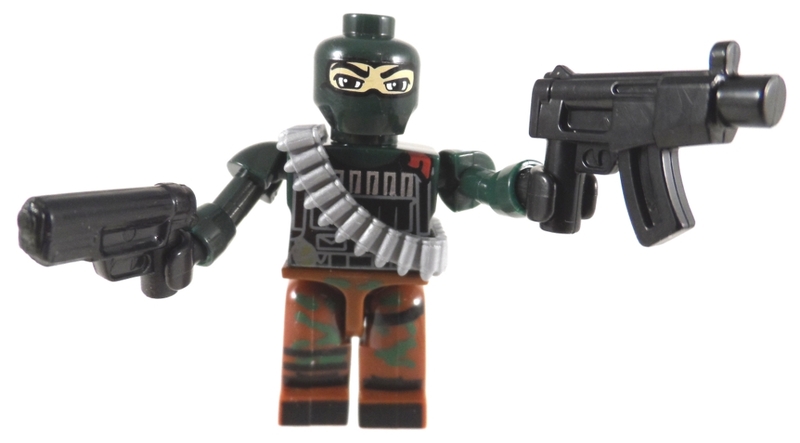 Beachhead is the second Kreon in the set. The deco on Beachhead is really good with the back torso also getting some work. I really enjoyed seeing the division patch on his shoulder. Beachhead comes with a satchel and a rifle. The instructions show that the round piece goes on the end of the Rifle, but just like Firefly’s weapon in the Checkpoint Alpha set…..
….it looks much better without the round piece on the barrel. The Outpost part of the set is nice and pretty close to the original 80’s toy. 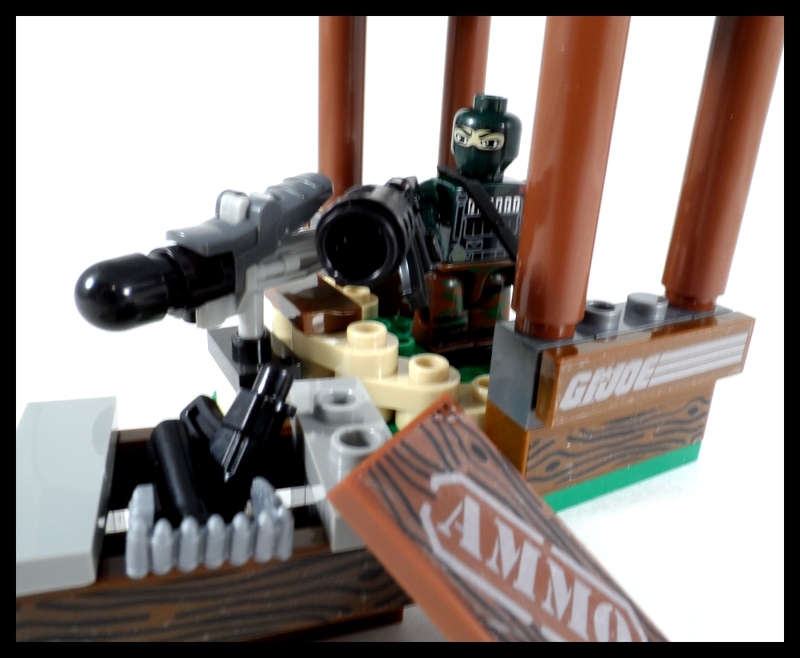 I assume to save on pieces and keep the set smaller, they got rid of the wooden boards on the front of the set and just went with the sandbags as the primary frontal defense. 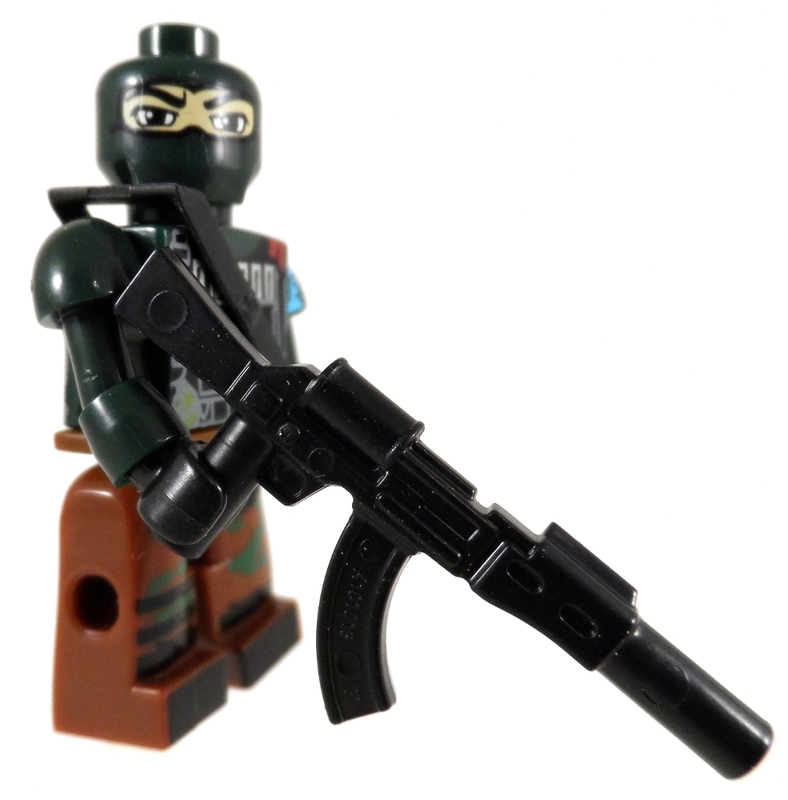 Like other Kreo sets, the gun launches the missile with a simple lever button. The set is scaled fairly well for the Kreons, though I do think we could’ve used a few more sandbag pieces. 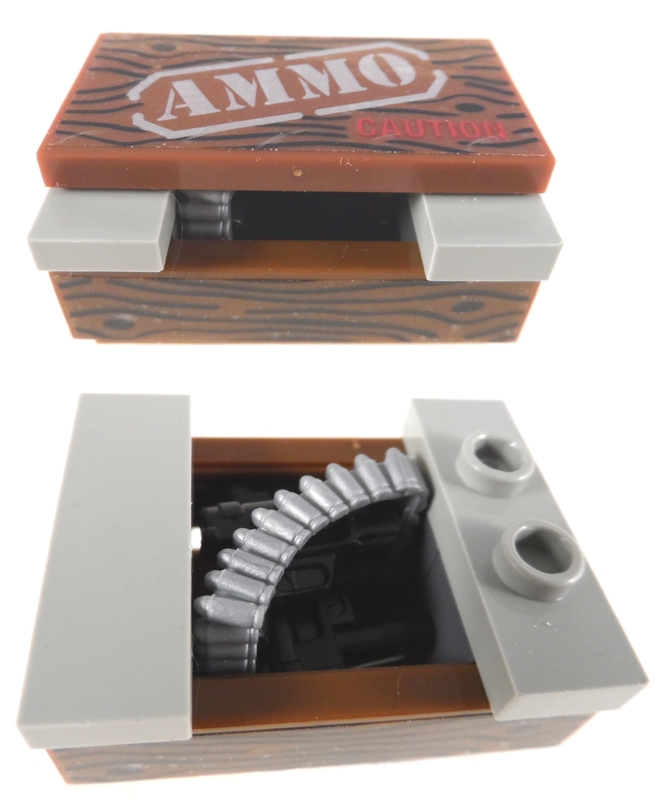 The real winner for this half of the set is the Ammo box. The stickers really add to the detail factor and I liked the fact that the lid is only attached on one side so you don’t feel like you’re dismantling the box to try to open it. Inside are some weapons for your Kreons. 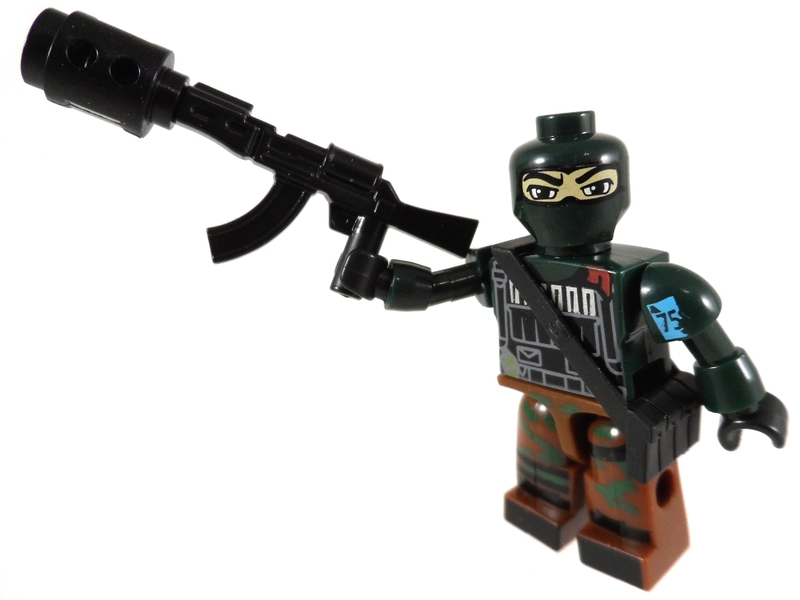 The included weapons are a Bullet Belt, Pistol & Machine Gun. 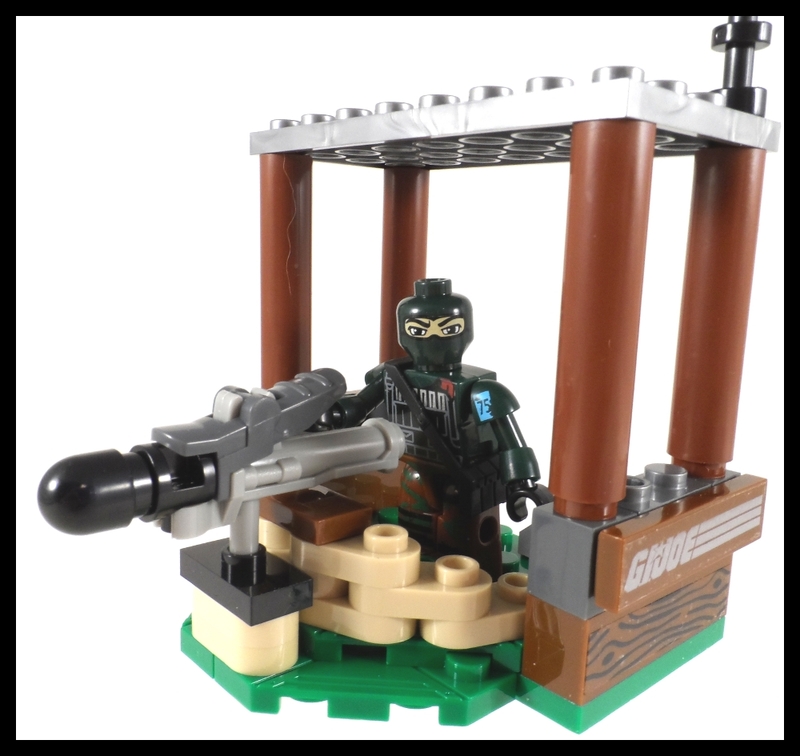 This half of the set is nice, I like Beachhead and the Ammo Crate the best, but I think with a few more pieces, the Outpost would be a little better. The second half of the set is a Cobra Ferret. I have the wheels attached with the star side out, but the instructions showed the wheels on the other way around. I have it this way because the other side is more flat, while this side is rounded. I don’t know if the instructions are in error or not, but this way felt better to me. 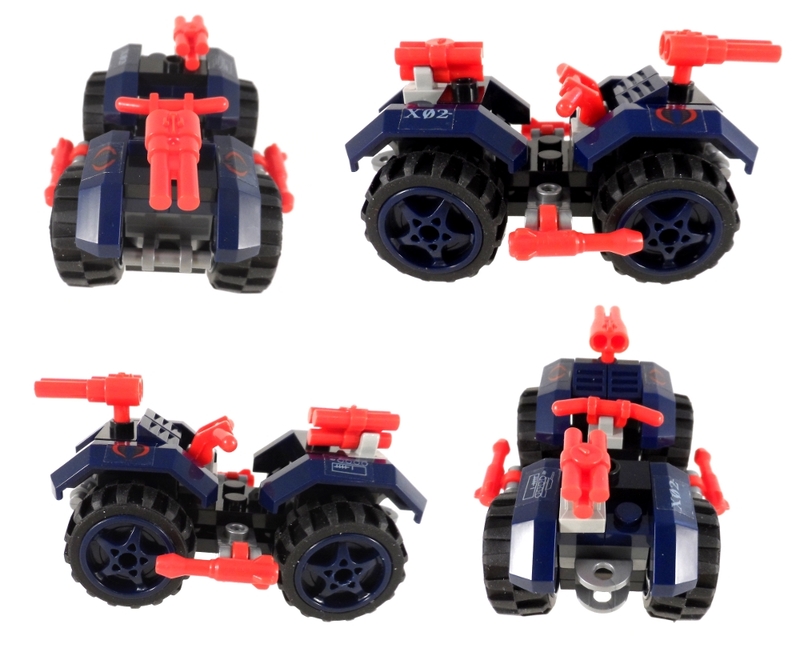 I’m not sure if the Dynamite bundle is supposed to simulate the side cannon, or if it’s just supposed to be dynamite, but the sculpt is very definitely a dynamite bundle so I choose to believe this version of the Ferret just doesn’t have a side cannon. 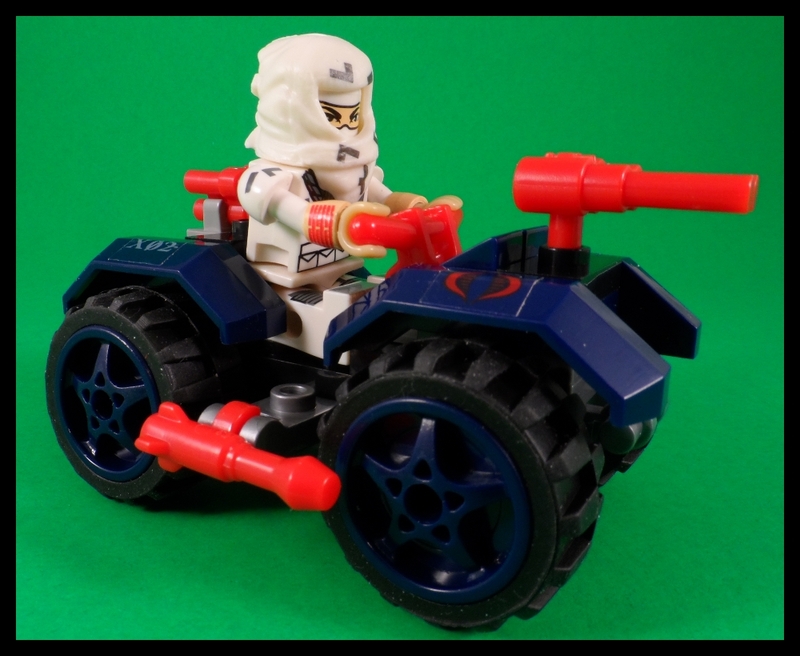 Storm Shadow fits nicely on the Ferret, but to be honest…. 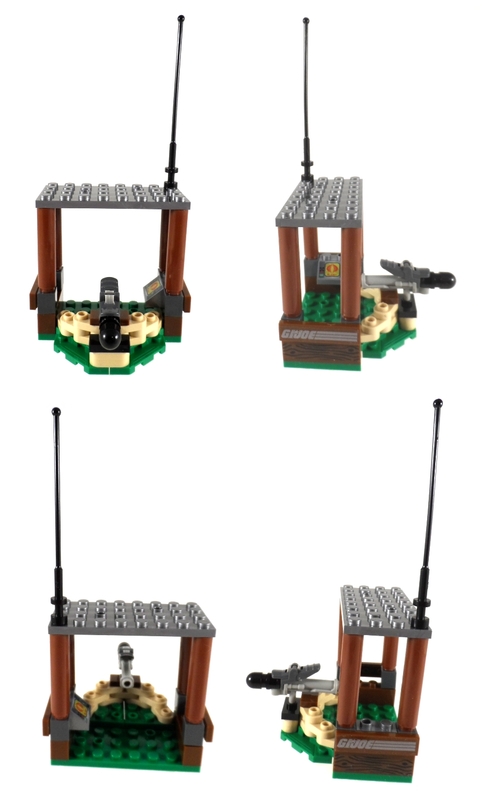 The figures/Kreons in the Outpost Defense set are very nice. I would have preferred a different “Cobra” figure than Storm Shadow (Especially since he’s wearing his GI Joe outfit) but it’s a nice deco. The Outpost is ok, but the Ferret is the real prize here. I really wish Kreo had small bagged sets like Lego, if they did, the Ferret would be a perfect set. 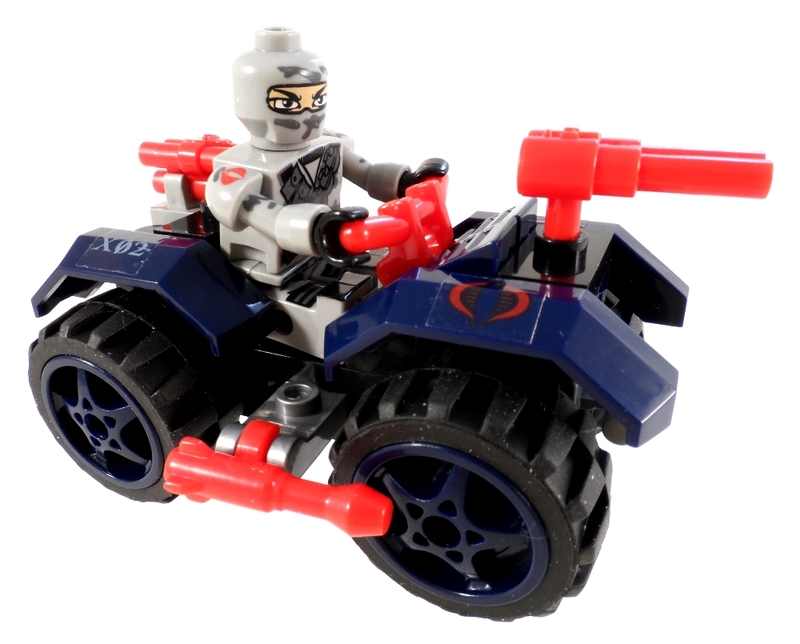 The parts are equivalent to a small Lego bagged set and the vehicle itself is a troop builder (One could argue the Outpost is too, but how many of those do you really need?) For me, the Kreons, extra weapons and Ferret were the main reason to buy this set.